Tennessee has had a long and proud history of great bands through the years. Throughout this history, certain figures stand above the crowd for the impact they’ve had in our profession. Our nominee for the Tennessee Bandmasters Association Hall of Fame goes by many names: Director. Teacher. Organizer. Officer. Volunteer. Leader. Mentor. Colleague. Friend. She’s known in the highest circles of our profession. She’s known to directors from Maine to California. She’s known to thousands of band students in Nashville, in Tennessee, and around the country, and she’s known to all of us as one of our bright and shining stars. Her name is Jo Ann Hood. Jo Ann was born in Cookeville and moved to Columbia when she was 6 months old. She graduated from Columbia Central High School, where she was an outstanding band student, playing under the baton of two T.B.A. Hall of Fame members – Tom Tucker and Bill Hull. As a clarinet player, she was a member of the very first All Middle Tennessee Clinic Band in 1968. Jo Ann attended Middle Tennessee State University, where she was a member of Delta Omicron Music Fraternity. While at MTSU, she began working for another T.B.A. Hall of Fame member – Joseph T. Smith – as a summer band camp worker and later became a band camp instructor, working with Mr. Smith for seventeen years. She graduated from MTSU with a Bachelor of Science Degree in Instrumental Music and later received her Master of Arts in Education Degree from Cumberland University. Jo Ann began her teaching career in 1972 as band director at Giles County High School in Pulaski. She moved to Nashville in 1973, beginning her long and storied career in the Metro Nashville Public Schools. She started at Wright Junior High School, moved to Bellevue Junior and Senior High Schools, where she began her longtime working relationship with another T.B.A. Hall of Fame member, Rodney Webb. When Bellevue High School closed for consolidation, she moved to Hillwood High School and in 1981, began her tenure at John Overton High School. She remained the Director of Bands at John Overton for thirty years, until her retirement in 2011. Currently, she is supervising student teachers at Tennessee State University and continues to serve MTSBOA as the Concert Performance Assessment chairperson and serves TMEA as the conference exhibits chairperson. Over the span of three decades, Jo Ann led the John Overton Band in memorable performances throughout the United States. The list of those performances is much too long to enumerate here, but if we were to highlight a few of them, that list would include the Tournament of Roses Parade, the Macy’s Thanksgiving Day Parade, the 60th, 65th, and 69th Anniversary Commemoration at the Arizona Memorial at Pearl Harbor, the Fiesta Bowl Parade, and the New York City St. Patrick’s Day Parade. Under Miss Hood’s leadership, the Overton Band was awarded the John Philip Sousa Sudler Award twice, an international award which recognizes high school marching bands with outstanding standards of excellence. Miss Hood led the Overton Band to three Grand Championships at the Contest of Champions, Bands of America St. Louis Regional Class Champion, Tennessee State Marching Band Champions six times, and a plethora of championships at local and regional events. Her concert bands have performed at the Tennessee Music Educators Association State Conference twice, made scores of Superior Ratings, and played for the Country Music Association at the Schermerhorn Symphony Center in Nashville. Miss Hood has been a member of and elected officer of many professional associations throughout her career and is widely respected by her peers. 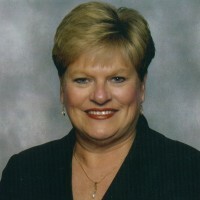 She has served as President of the Tennessee Music Educators Association, the Middle Tennessee School Band and Orchestra Association, the Tennessee Bandmasters Association, and Phi Beta Mu National School Bandmasters Fraternity. She served on boards for Bands of America and the John Philip Sousa Foundation and has been on staff for the United States Army All-American Marching Band. She has received the National Band Association’s Citation of Excellence four separate times and the Certificate of Merit for Marching Excellence five separate times. She’s been inducted into the MTSU Band of Blue Club Hall of Fame, selected as an outstanding Young Woman in America, awarded the Scroll of Excellence by the Women’s Band Directors National Association, received the Sudler Order of Merit from the John Philip Sousa Foundation, selected to Who’s Who Among American Teachers, inducted into the National High School Band Directors Hall of Fame, selected to Who’s Who of American Women, the American School Band Directors Association, and inducted into the Tennessee Music Educators Association Hall of Fame. While this litany of accomplishments is only the tip of Jo Ann’s resume, what we all know and love about Jo Ann Hood is her warm, compassionate, feisty, and vibrant personality. Jo Ann lights up every room she enters. If you want a task done and you need it done right, call Jo Ann Hood. Look up “CAN DO” in the dictionary and you’ll find a picture of Jo Ann Hood. In the ever-changing world of education, Jo Ann was a rock, as constant as the morning star. Although she experienced much change and turmoil in her career, her expectations for her students was as unwavering as is her love for her friends. Her love and service to the John Overton High School Band has been legendary. She loved her students and protected them like a mama grizzly bear and she constantly demanded their very best in every aspect of their lives. Her students quickly learned that simply being good was never good enough – they had to be awesome! And awesome they were – in marching band, in concert band, in Mid-State and honor bands, in All State Band, in receiving hundreds of thousands of dollars in music scholarships, and in everyday life. Ara Parseghian, famed football coach at Notre Dame, said “a good coach will make his players see what they CAN BE rather than what they are.” Jo Ann Hood did exactly that and set a sterling example for her students in citizenship, character, responsibility, and integrity. For that, her students loved her. Among her strongest attributes is her eagerness to help others, especially young band directors and student teachers. Jo Ann mentored youngsters long before it was fashionable. She understood and appreciated the assistance she received early in her career and believes it’s our duty to pass it on. John Maxwell has written that the measure of leadership is found in influence: “He who thinks he leads, but has no followers, is only taking a walk”. Jo Ann has never taken a walk alone in her life…she’s constantly running in the company with others. What we do here today is a fitting tribute to a woman who has lived her career in a man’s world. Her impact on her students and music in Tennessee is evident today and will be for decades to come. The successes all of us enjoy today are built on the shoulders of those who came before us – the giants of our profession – and Jo Ann Hood is a giant among giants. We are honored to nominate Jo Ann Hood – teacher, mentor, and friend – for inclusion into the Tennessee Bandmasters Association Hall of Fame. Born Richard Anthony Murphy on December 12, 1957 in Columbia, Tennessee, “Rick” is the fourth of six children born to Bill and Mary Murphy. Rick attended Riverside Elementary School and when he was young, his family thought he’d end up being an architect because he loved to draw house plans and then build them out of Legos, proudly displaying them. Rick showed an early aptitude for music and one of his early influences was Diana Ruth (Polk), his piano teacher. He started playing clarinet in 7th grade at Whitthorne Junior High, where his band directors were Tom Tucker and Bill Hull, both T.B.A. Hall of Fame members. Rick went on to be a member of the Columbia Central High Marching Band and Symphonic Bands and while attending Columbia Central, he studied clarinet with Jo Ann Hood and Tom Tucker. His favorite composer during his high school days was Beethoven. Rick was a member of the Tennessee All State Band and the Middle Tennessee Clinic Bands. Upon graduating in 1975 from Central High School, he attended MTSU on a band and orchestra scholarship where he studied clarinet with Dr. John Duke. Upon graduation from MTSU, he worked two years in Wakulla County, Florida. In 1981, Jo Ann Hood called him to replace her at Hillwood High School in Nashville, where he and Charles Marston transformed Hillwood into a band worthy of competing with first rate bands like McGavock and John Overton. Howard Baltimore, long-time principal at McGavock asked Murphy to come to McGavock in 1985, where he worked with Larry Baskin for one year. Jeff Beckman joined Murphy at McGavock in 1986 and together, they created one of the legendary marching band programs in the country. Murphy left McGavock in 1990 to study and work on his Masters Degree at MTSU as a graduate teaching assistant. After finishing his studies, Joseph T. Smith (TBA Hall of Fame), asked Rick to apply for the Assistant Director of Bands position. Rick stayed at MTSU for three years and then returned to Metro Nashville, where he was the director at Antioch High School from 1994 – 1996. Rick was asked to return to MTSU in 1996 and was appointed assistant professor of music and Director of Bands. Rick served as MTSU’s Band Director for seven years and during this time, he and Terry Jolly guided the MTSU Band of Blue through a period of tremendous growth. Additionally, he was conductor of the Middle Tennessee Chamber Winds, a professional chamber music ensemble, and was also co-conductor of the Tennessee Valley Winds, an adult community band. Rick returned to Metro Nashville and worked with Jo Ann Hood at John Overton for one year. He then returned to McGavock High School in 2003 where he and Jeff Beckman won two more Contest of Champion titles in 2003 and 2004. Since 2004, Rick has been the Director of Bands at his alma mater, Columbia Central High School. 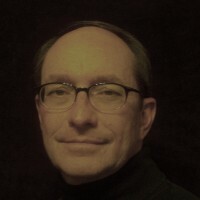 Rick Murphy is a research associate and contributing writer to the GIA publication Teaching Music through Performance in Band and Teaching Music through Performance in Beginning Band. He has served on the faculty of Vanderbilt University’s Blair School of Music as a visiting conductor, was conductor of the Nashville Youth Repertory Orchestra, has been awarded five Citations of Excellence and seven Certificates of Merit for Marching Excellence for his contributions to the profession by the National Band Association, was named an Outstanding Tennessee Educator by the Governor’s School for the Arts, is an elected member of Pi Kappa Lambda National Honor Society, and has been inducted into the Middle Tennessee State University Band of Blue Hall of Fame. He conducted concerts at the TMEA Convention on three separate occasions with his concert bands from McGavock, John Overton, and MTSU. He holds membership in the National Band Association, College Band Director’s National Association, American School Band Directors Association, National Association for Music Education, Tennessee Bandmasters Association, Tennessee Music Educators Association, Middle Tennessee School Band and Orchestra Association, Phi Mu Alpha Sinfonia Fraternity, a professional music fraternity, and is an elected member of Phi Beta Mu National School Bandmasters Fraternity. Rick is a devoted father and an avid tennis and racquetball player. Spanning three decades, perhaps Rick Murphy’s most important legacy to the band directing profession are the many students he has taught who call him their mentor and have gone on to be band directors themselves.